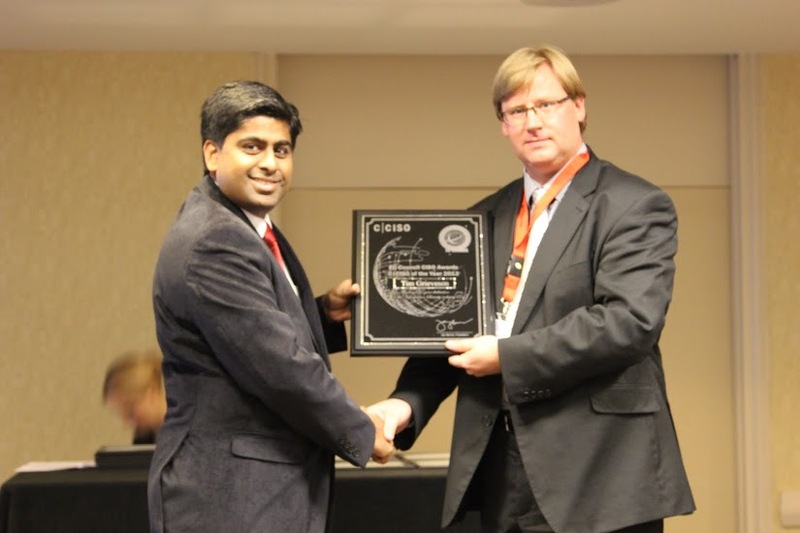 �It was an exciting day for all involved and we are very proud to have the opportunity to recognize not only the warriors who are fighting the cybersecurity battle day in and day out, but also the managers who set them up for success,� says Jay Bavisi, President of EC-Council, of the awards ceremony at the Global CISO Forum. What set Grieveson apart from the pool of applicants was the fact that he is an inspirational �Big Corporate� CIO and IT Transformation Director with over 16 years� IT experience and over 10 years Information Security experience. He is changing and challenging the way in which technology supports businesses in his role as CIO at G4S Risk Management, which is part of the G4S group, the world�s second largest private employer with some 675,000 staff globally. He is responsible for the direction and strategy of Global ICT and Information Security for the organization. His commitment to security is recognized throughout the industry. Mike Loginov, a Certified CISO with the Ascot Barclay Group, nominated Mr. Grieveson for the honor.